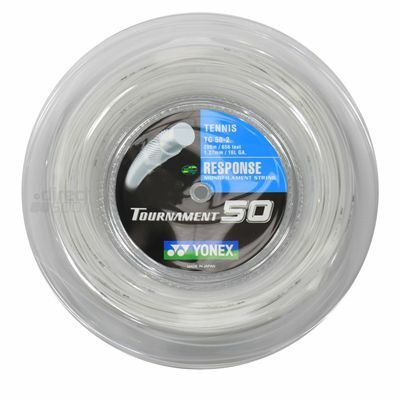 The Yonex Tournament 50 200M tennis string reel has a diameter of 16L (1.27mm). It incorporates a monofilament core finished with high polymer nylon. This 200m (656ft) long tennis string reel comes in white colour. for submitting product review about Yonex Tournament 50 200M Tennis String Reel.